The Tuscany has columns that flank the sides of the mantel. 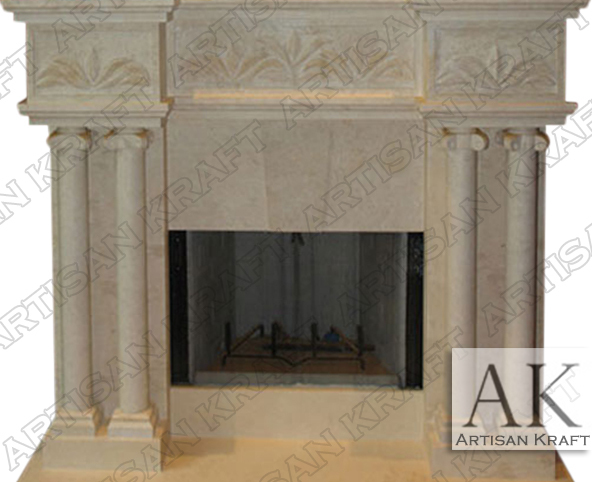 A great idea for an Italian marble fireplace. Palm leaves add simple beautiful detail to the frieze of the shelf. A great example of a classic Italian design surround. Call for details about this and other products.